Frazer Throwback : A Frazer Timeline Split Screen - Frazer, Ltd.
A clash of different decades in a Frazer Throwback frame! There are two sides to this week’s Frazer throwback story. Some may not know of Frazer’s history before our work in the EMS industry. 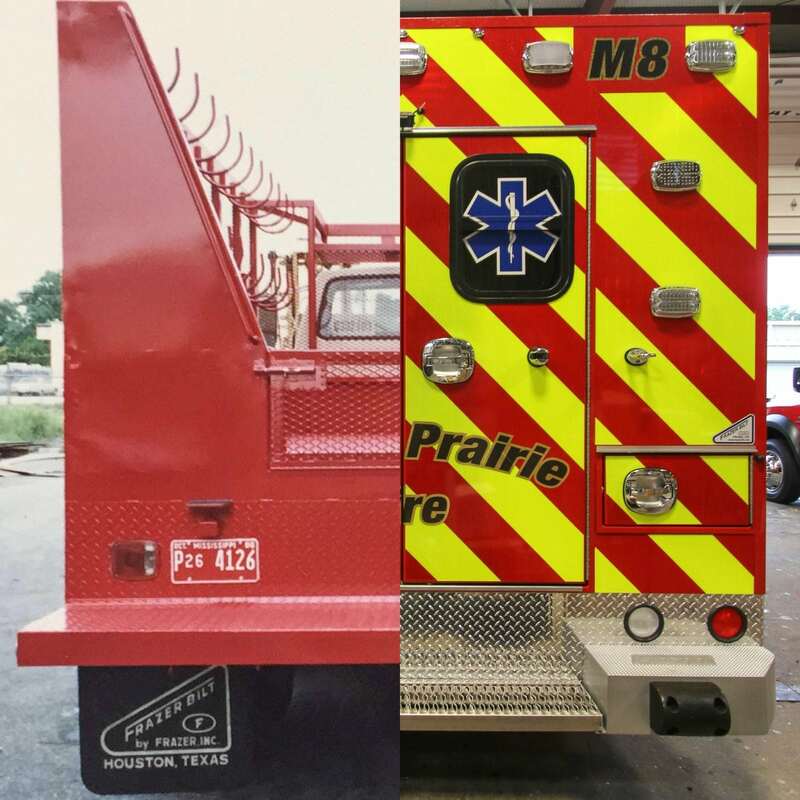 Visit the Frazer History Page to see our history over the last 60+ years and how different our custom emergency vehicles look today!